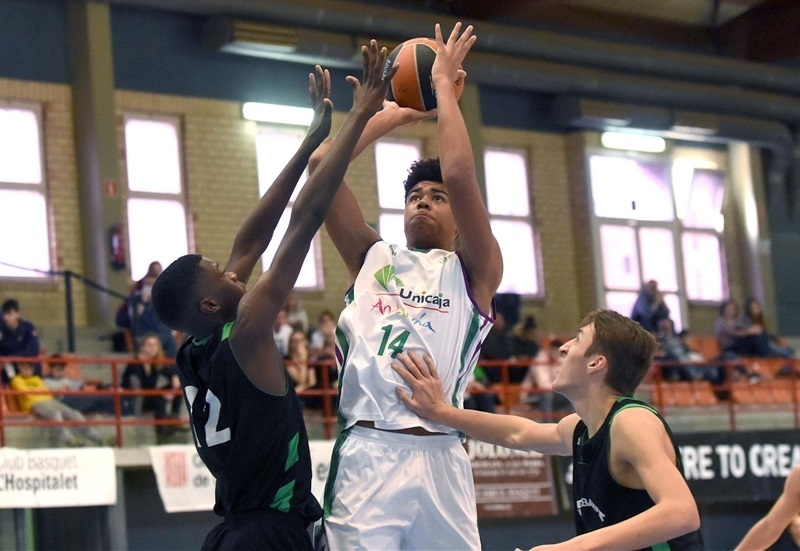 U18 Unicaja Malaga remained alive for a spot in the final of the Euroleague Basketball ADIDAS NEXT GENERATION TOURNAMENT Ciutat de L’Hospitalet by knocking off U18 ASVEL Villeurbanne 78-82 in Group B. Jesus Carralero collected 23 points, five rebounds, four assists, four steals and three blocks while Morgan Stilma (16 points and 12 rebounds) and Ismael Tamba (15 and 10) both picked up double-doubles for Unicaja, which moved to 1-1. 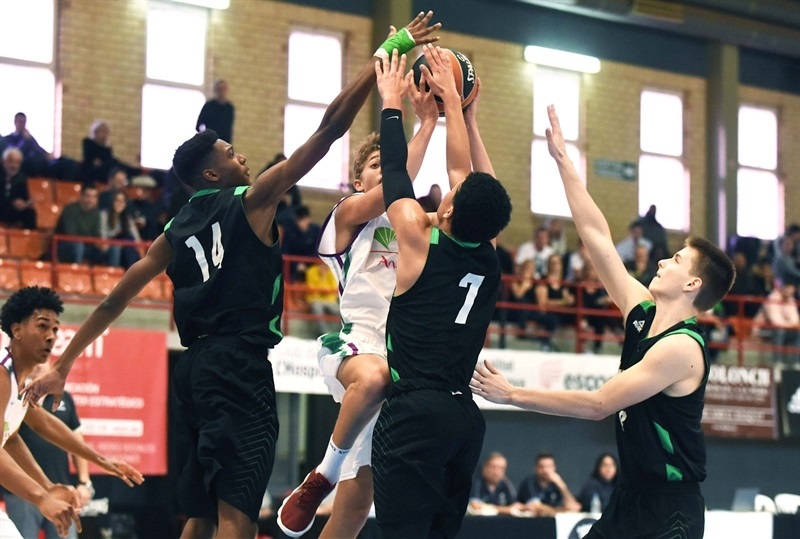 ASVEL got 26 points and five assists from Theo Maledon and Malcolm Cazalon added 25 points and nine rebounds in the loss, which dropped the French side to 0-2. Maledon was battling with Stilma and Carralero in the early going and had 10 points as the teams were deadlocked 12-12. But Unicaja held ASVEL scoreless the final two minutes of the first quarter and was up 12-20. 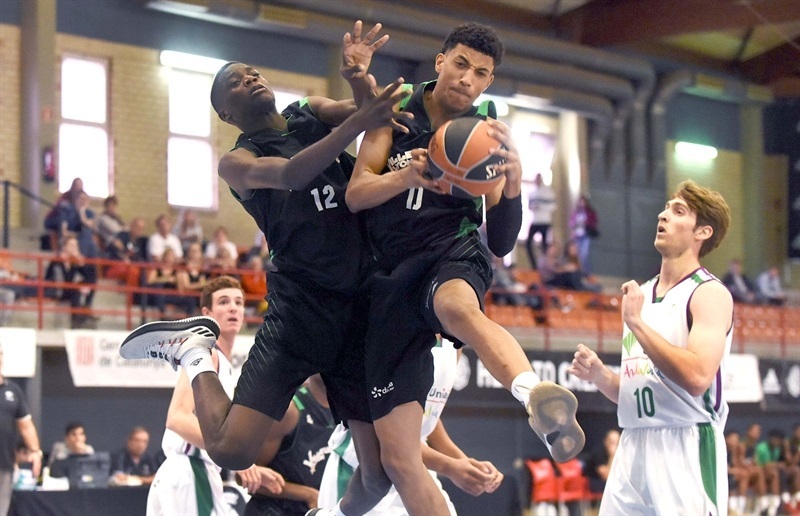 Matthew Strazel and Cazalon tried to keep ASVEL close in the second quarter but the gap was 22-32 after a Carralero score. Felix Bastien stepped up for the French side with seven points in helping close to within 30-34 at intermission. 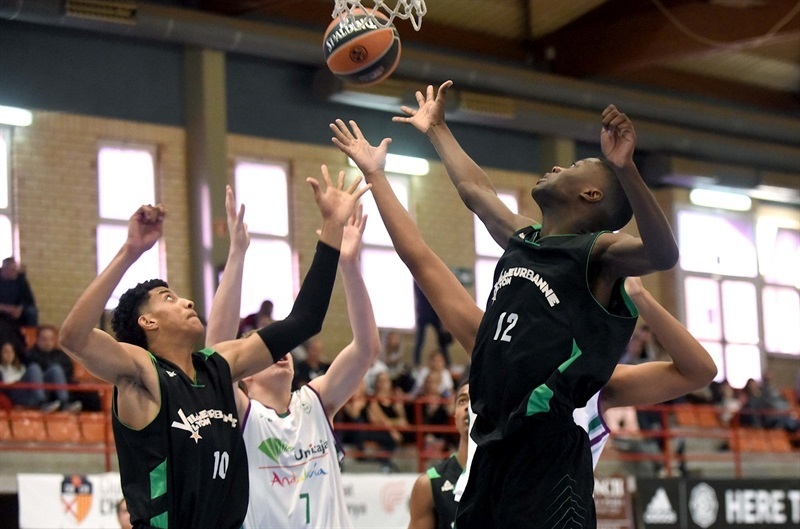 Cazalon picked up eight points and Maledon nailed two three-pointers as ASVEL evened the game at 44-44 while Tamba answered with two baskets at the other end. ASVEL remained determined to finally reclaim the lead and did so with Yann Goetgheluck’s score to make it 56-54 after three quarters. 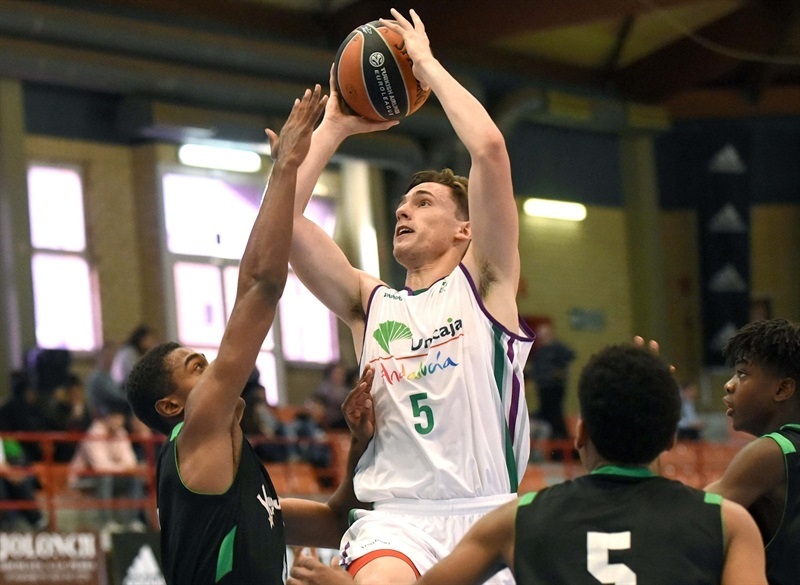 A Cazalon three-ball increased the advantage to 61-54 but Unicaja countered with the next six points and eventually tied the game 70-70 with three minutes left. 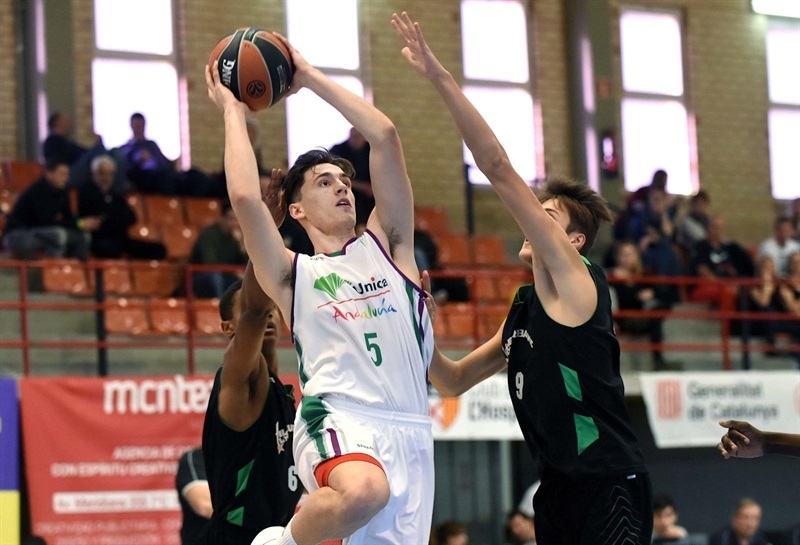 Unicaja finished strong with Alessandro Scariolo picking up a three-point play and Tamba and Carralero both knocking down three-pointers for the win in the final three minutes.